Firefox Mobile, the handset-friendly version of the open-source internet browser, could be coming within the next few weeks, according to Mozilla's CEO John Lilly. "We want to make sure that the web on mobile is more like the web than what the mobile industry offers today, which is closed, separate networks and not a very good information-getting experience for the user. 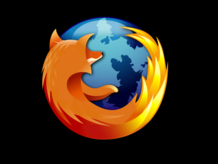 "The first thing is to bring Firefox to mobile devices. We're working on that, and we'll see some alphas in a few weeks." He also spoke of the effect Google's new browser, Chrome, might have on Firefox's effectiveness, as the two programs are now effectively competing. "I would say we have very good relationship with Google. Google has done a lot to make the web better and to make information more accessible. Some of the components of Firefox are shared with some of the components of Chrome. "I'm not sure 'competing' is the right word. It's not the way I think about it. We're trying to make something that provides a good experience for people, and they are too."